According to the summons, Charumbira allegedly said: "As chiefs, we agreed during the 2014 congress that Cde (Robert) Mugabe is our candidate for the 2018 elections. "We are all united and he is still our candidate. "We have been supporting him and we can confirm that winning is guaranteed." 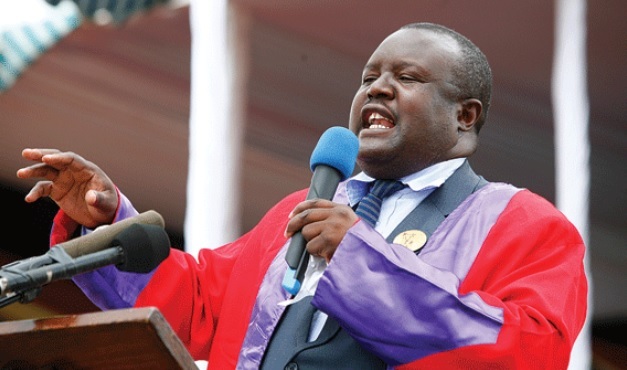 "The remarks made by the first respondent (Charumbira) on October 28, 2017 on the occasion of the annual conference of the Council of Chiefs and on January 13, 2018 to the effect that traditional leaders have been supporting and must continue to support Zanu PF and its presidential candidate at the forthcoming 2018 elections be and is, hereby, declared to be in contravention of the Constitution of Zimbabwe," the order by Justice Phiri read. "The first respondent be and is, hereby, ordered to retract in writing the statements that he made to the effect that traditional leaders should support and vote for Zanu PF by issuing a countermanding statement and shall publish the countermanding statement in a newspaper with a national circulation and endeavour to make a statement available to private and public media houses and the national broadcaster within seven days of being served with this order."